Background: The classic position for percutaneous nephrolithotomy is the prone position as it provide good access to the pelvicalyceal system especially in complex stones such as staghorn stones , however prone position has many limitations especially in morbid obesity and cardiopulmonary problems. Many concerns were made about performing PNL in supine position regarding availability of working space and the possibility of multiple puncture. 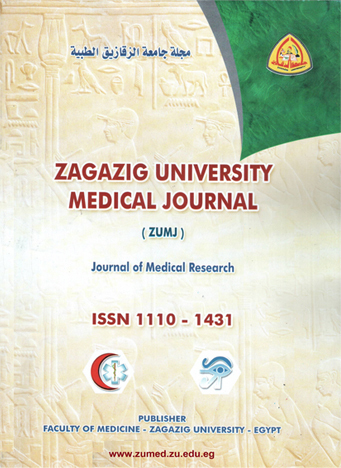 Patients and Methods: This is a prospective randomized study that was carried out at urology department Zagazig University in the period from January 2012 till January 2014. The study included 60 patients with staghorn stones scheduled for PCNL and were randomized in two groups using the closed envelope method: Group [A] patients with staghorn stones undergoing PCNL in Flank free modified supine position and Group [B] patients with staghorn stones undergoing PCNL in the standard prone position. Staghorn stone was regarded as any renal stone that occupy the renal pelvis and at least one major calyx. Preplanned tracts were designed according to stone morphology. Results: Operative time was calculated from the patients positioning for fixing ureteral catheter till the fixation of the nephrostomy. Regarding the operative time the mean operative time in both groups was 94.9 ±10.12 min .In group A the operative time [96.2±10.85minutes] was longer than group B [93.6±9.71] however this difference was statistically insignificant [P=0.3]. The overall transfusion rate was 5% [3 patients] two in group B one in group A. The mean pre-operative Hemoglobin in group A was 12.10 gm/ml ±0.74 which turned to 10.75gm/ml ±1.07 postoperatively. Only one patient in this group required blood transfusion [3.3%]. The mean preoperative Hemoglobin in group B was 12.01 gm/ml ±0.59 which turned to 10.83 gm/ml ±1.05 postoperatively. Post-operative KUB and U/S was done for all cases to evaluate stone clearance and residual fragments. It was done immediately post-operative day 1 and at the day of discharge. Over-All stone free rate [for both groups] at 24-h was 66.7% [40 patients].The stone free rate at 24-h imaging was higher in group B than in group A 70.0% [21patients] and 63.3% [19 patients] respectively however this was statistically insignificant [p=0.5].